Home / FAQs / What is the difference between a licensed naturopathic doctor and an unlicensed naturopath? A “Naturopath” is not the same thing as a licensed Naturopathic Doctor. 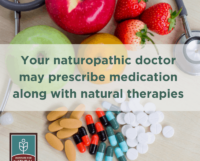 Naturopathic doctors can order diagnostic tests such as blood tests, X-rays, MRIs, and, in some states, prescribe prescription drugs or hormones and may perform minor surgery or office procedures. Naturopathic doctors can order diagnostic tests such as blood tests, X-rays, MRIs, and, in some states, prescribe prescription drugs and hormones and perform minor surgery and office procedures. According to the Association of Accredited Naturopathic Medical Colleges (AANMC) 2015 survey of alumni, 50 percent of naturopathic doctors practicing full-time self-report as primary care physicians, while 28 percent report working as natural health specialists. In addition, like conventional medical doctors (MDs), a growing number of naturopathic doctors choose to focus their practices in specialty areas. Specialty associations currently exist for Endocrinology, Environmental Medicine, Gastroenterology, Intravenous Therapies, Pediatrics, Primary Care Medicine, and Oncology. State-mandated regulatory bodies oversee standards of practice, complaints, and discipline for all licensed jurisdictions. Licensed naturopathic doctors carry malpractice insurance and maintain a commitment to lifelong learning through continuing education. These requirements are safeguards to ensure patients’ rights to quality naturopathic care. Therefore, unlicensed naturopaths can have varied levels of education and experience, often from a purely online or correspondence format. Such education is not overseen by an agency recognized by the U.S. Secretary of Education and does not qualify students to take the NPLEX examination or apply for licensure in any regulated jurisdiction in North America. 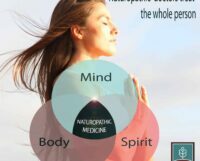 As a patient, you should also know that the terms “naturopathic doctor”, “naturopathic physician” and “naturopath” are often used interchangeably by medical practitioners in other disciplines and the public, even though unlicensable naturopaths do not have the same training or privileges. Knowing the difference between licensed naturopathic doctors and unlicensed naturopaths can help you make informed decisions about which type of provider can best help you. Licensed naturopathic doctors carry malpractice insurance and are required to complete continuing education coursework. 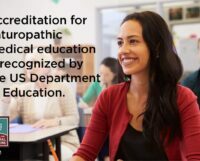 For more information on how naturopathic doctors are educated, trained, and licensed, see our FAQ on education.